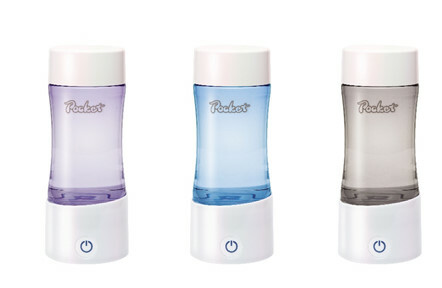 ‘Pocket’ by Kyowairyo is a bottle of producing hydrogen water ― simply put water or tea and press the particular button ―. This latest model, ‘Pocket Premium’, is on sale on the online shop. Apparently there’re three colors, purple, blue and bronze, which adopt the color of peal white on the base and the cap, thus these look more luxurious than original one. When it comes to the concentration of hydrogen, it produces 415ppb per 10min, and 730ppb in the second time (20min). This volume is 350ml and its size is 18mm height, 7mm diameter. As for weight, it has 200g. This costs 54,000yen. 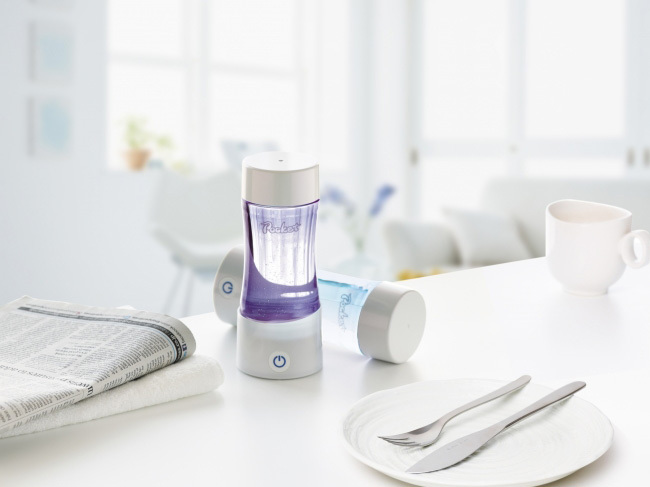 You can drink hydrogen water which it makes straightforwardly whatever you want. The way to clean it is also easy because each component, a cap, a bottle and a base, can be taken apart with a screw. These three colors are sold by Kyowairyo exclusively. Why don’t you try it for your health? Who rescued a baby? ―it’s an amazing story that Siri help human’s life― A very small wallet “SWAGgear” will change the concept of wallet! What an astonishing statue! The Golden Saint Aldebaran Statue, 210m height, is completed for ‘Saint Seiya 30th Anniversary Exhibition’ The top five ‘High-Quality Bluetooth Headphones’ recommended by the audio-visual critic The handy size of Fami-Com, ‘Nintendo Classic Mini’, is on sale, which contains of 30 Fami-com games YOSHIKI & Hello Kitty new collaboration “Yoshikitty” soft caramel How to Make The Kelp Tea Easily Candies and snacks perfect for souvenirs of Japan!